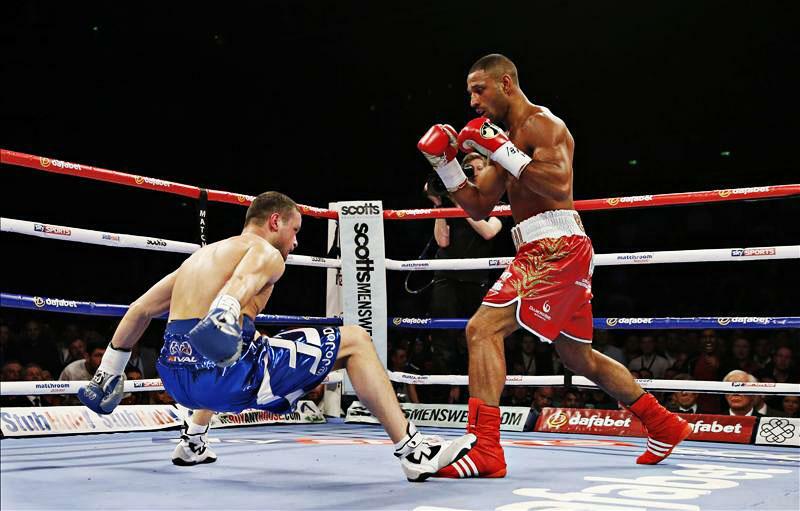 Kell Brook's homecoming resulted in his opponent Jo Jo Dan retiring on his stool after being knocked down four times in the first four rounds. The vibrant lights, raucous crowd energized the returning Kell Brook as the Sheffield man made his highly anticipated walk to the ring. With a cauldron of noise rearing him on, Brook established himself and took the centre of the ring. In previous fights, though, Dan made quick starts and completed most of his work early on. That's what the challenger looked to do exactly that. He closed the gap on Brook but the champion's sharp movement and excellent reflexes of his opponent made it difficult to land anything clean. Later in the round, Brook's power emerged as a big right hand staggered Dan as the Romanian backed up and was sent straight into defensive mode. It seemed that Dan hadn't recovered from Brook's hurtful punch as he was sent down to his knees courtesy of the champion's brutal right uppercut. In just the second round, Dan was covered in visible red marks and bruises under the eye. He showed great courage to recover but with the raucous Sheffield crowd behind Brook the fierce challenge was just too much for Dan who was sent crashing to the canvas yet again. But once more, his toughness showed through as he made it back up but a torrid walk back to his corner told a whole story. The challenger would proceed in the third; making it awkward for Brook to land cleanly this time with his messy style of fighting. The Sheffield man kept things under control, knowing timing is everything as one more clean shot would end it. The champion's sharp jab also pierced Dan on his face; constantly absorbing punishment. Yet again, Dan found himself on the end of relentless shots and was sent crashing down once more. Uppercuts. Straight rights. Bang. The fight was already seemingly over for the challenger as already four knockdowns made it almost impossible for a comeback. His belief was gone as a destructive counter right sent him packing. Calls for a stoppage sounded but the referee gave Dan a chance. However, the corner of Dan had seen their man absorb enough punishment for one night and they instructed the referee to halt proceedings. Brook rose off his stool to a raucous roar from his hometown fans. Afterwards, both Brook and Eddie Hearn called out Amir Khan for a potential fight on June 13th.